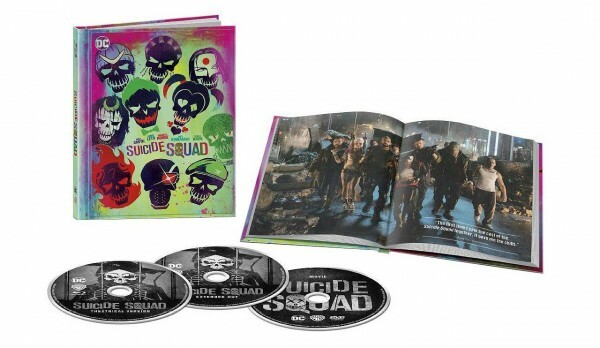 When Warner Bros. releases Suicide Squad to Blu-ray Disc on December 13th, retailers including Amazon, Best Buy, and Target will also carry their own exclusive editions. 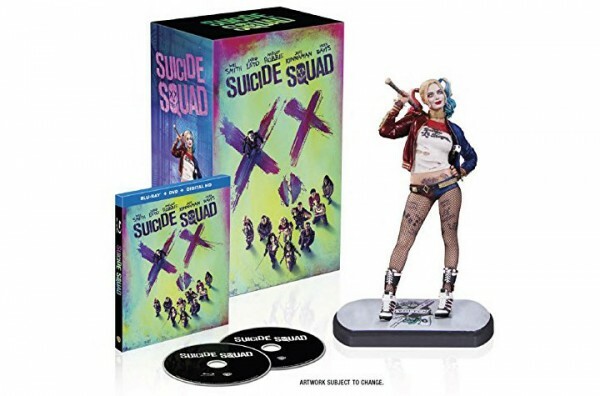 If you’re looking to get something different than the norm, or want a collectible Harley Quinn figurine, graphic novel, or other collectible item along with the discs, look beyond the standard disc editions to these retailer exclusives. 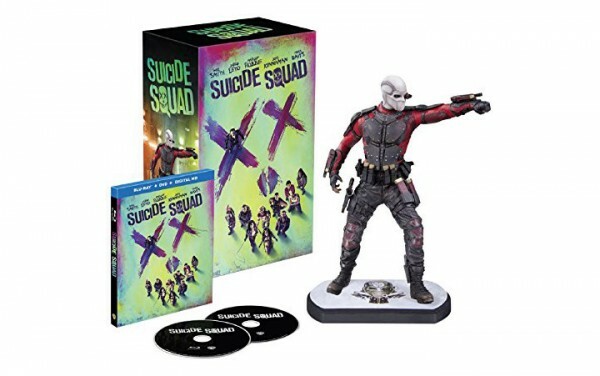 The standard editions of Suicide Squad include a 2-disc Blu-ray edition with DVD ($24.99), 2-disc Blu-ray 3D edition with Blu-ray ($29.99), and 4k Ultra HD Blu-ray edition with Blu-ray ($29.99). All Blu-ray combos also include a Digital HD copy through UltraViolet partners. The Blu-ray Discs are formatted in 1080p at 2.4:1 widescreen aspect ratio, while the 4k edition improves video resolution to 2160p with High Dynamic Range color (for TVs that support HDR only). 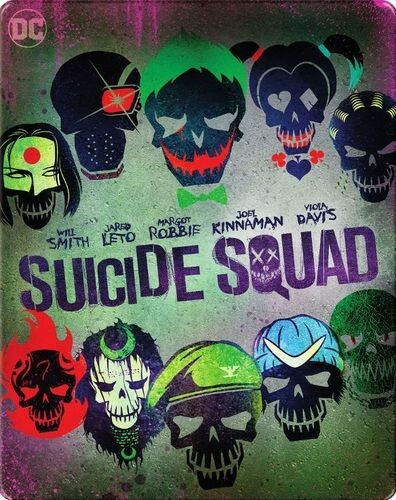 All of the Blu-ray editions also feature English audio in Dolby Atmos and Descriptive Audio 5.1.